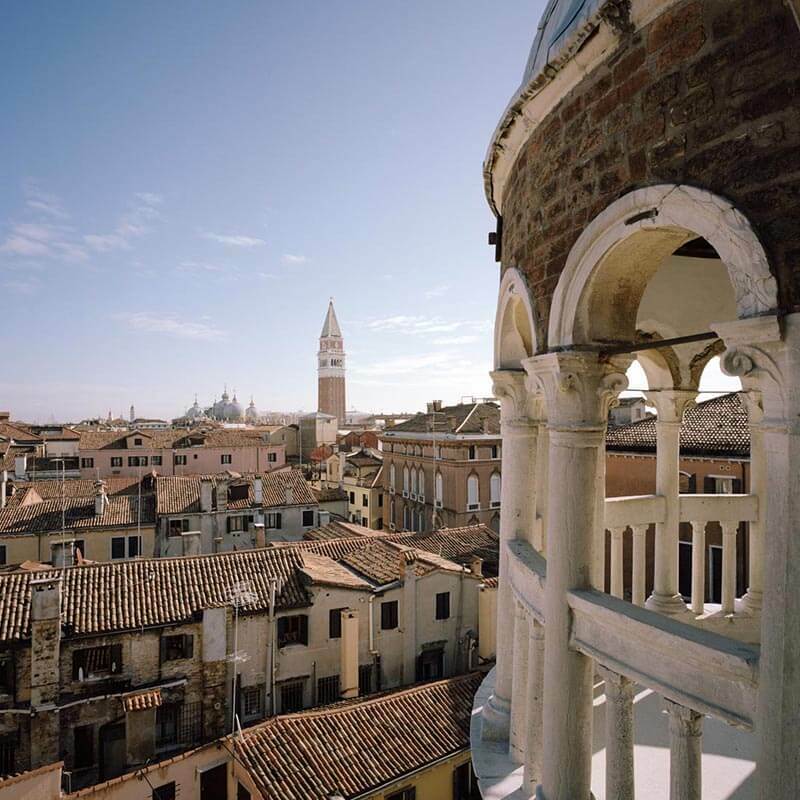 Throughout its long existence spanning five centuries of Venetian history, Palazzo Contarini del Bovolo underwent many transformations due to its several different owners. 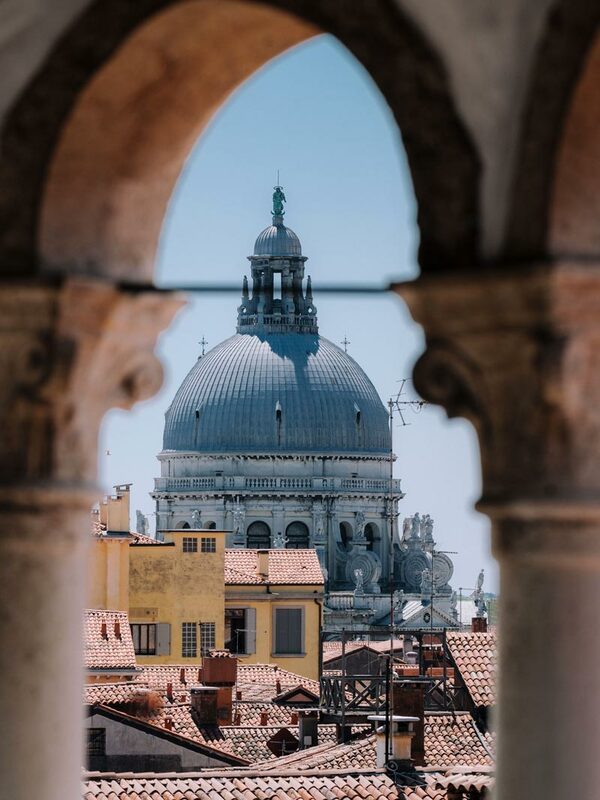 Despite not affording any views of the Canal Grande, the Palazzo’s position is nonetheless a privileged one, the building being equidistant from Rialto – the economic centre of Venice –, and from Saint Mark, the political heart of the Republic. 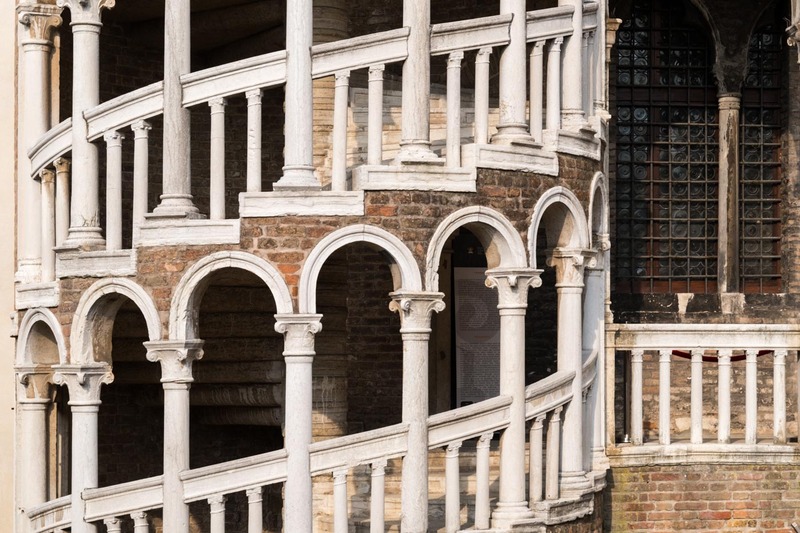 During the late fifteenth century, important overall renovation works updated the complex architectures to meet the modern Renaissance taste with the construction of the loggia and of the graceful spiral staircase known as “bovolo” (venetian word that means “snail”). These major structural modifications were commissioned by Pietro Contarini who became the owner of the palazzo in 1489 and apparently entrusted the works to a local artisan named Giovanni Candi. The alterations to the inner courtyard with the introduction of loggias also date to that same period. 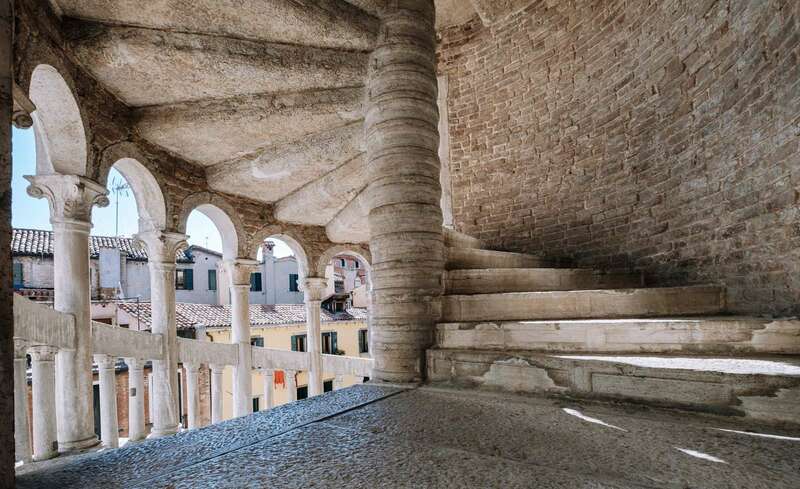 The twenty-eight-metre high cylindrical tower containing the spiral staircase is chromatically characterised by the alternation of red cotto bricks and white Istria stone unravelling in the six floors of loggias curling up the bovolo’s eighty steps. The Contarini family owned the building throughout the eighteenth century. At the beginning of the nineteenth century the property passed to Domenico Emery of Toulon, and it was at that stage that Arnaux Marseille, known as “the Maltese”, converted Palazzo Contarini into a lodging house. One of the guests, German astronomer Wilhelm Tempel, discovered comet C/1859 and the Merope Nebula of the Pleiades from the top of Palazzo Contarini’s tower – the so-called terrazza also known as the Belvedere, where the scientist used to carry out his telescopic observations. In 1849, the year of Domenico Emery’s bequest, the property was settled on the Fraterna dei Poveri di San Luca, an institution providing assistance to the needy members of the parish. 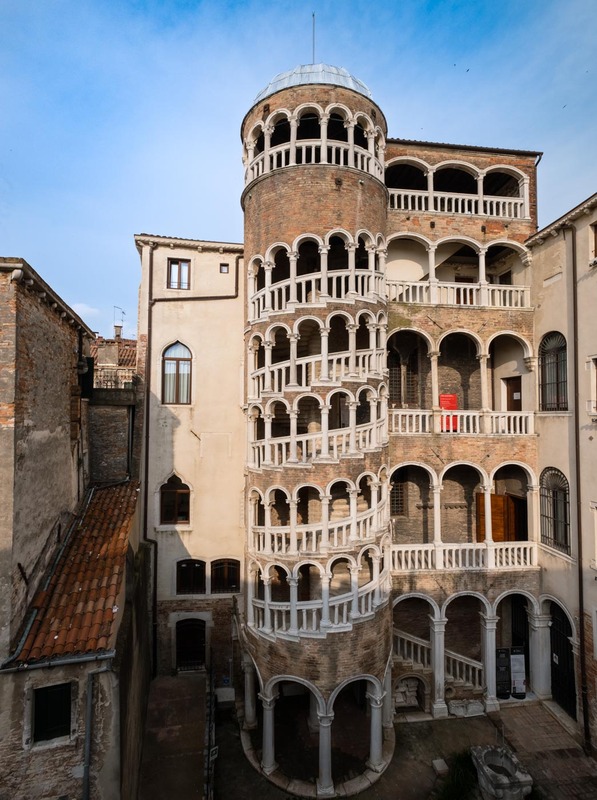 Since then, Palazzo Contarini del Bovolo has been connected to the city of Venice’s welfare services and is today owned and used by I.R.E. and the City of Venice.